This book grew out of an online interactive offered through statcourse.com, and it soon became apparent to the author that the course was too limited in terms of time and length in light of the broad backgrounds of the enrolled students. The statisticians who took the course needed to be brought up to speed both on the biological context as well as on the specialized statistical methods needed to handle large arrays. Biologists and physicians, even though fully knowledgeable concerning the procedures used to generate microaarrays, EEGs, or MRIs, needed a full introduction to the resampling methods—the bootstrap, decision trees, and permutation tests, before the specialized methods applicable to large arrays could be introduced. 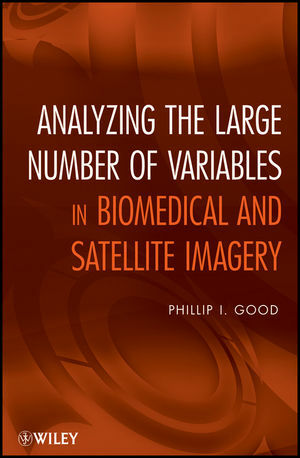 As the intended audience for this book consists both of statisticians and of medical and biological research workers as well as all those research workers who make use of satellite imagery including agronomists and meteorologists, the book provides a step-by-step approach to not only the specialized methods needed to analyze the data from microarrays and images, but also to the resampling methods, step-down multi-comparison procedures, multivariate analysis, as well as data collection and pre-processing. While many alternate techniques for analysis have been introduced in the past decade, the author has selected only those techniques for which software is available along with a list of the available links from which the software may be purchased or downloaded without charge. Topical coverage includes: very large arrays; permutation tests; applying permutation tests; gathering and preparing data for analysis; multiple tests; bootstrap; applying the bootstrap; classification methods; decision trees; and applying decision trees. Phillip I. Good, PhD, is Operations Manager at Information Research, a consulting firm specializing in statistical solutions for private and public organizations. He has published more than thirty scholarly works and more than six hundred popular articles. Dr. Good is the author of Introduction to Statistics Through Resampling Methods and R/S-PLUS® and Introduction to Statistics Through Resampling Methods and Microsoft Office Excel®, and coauthor of Common Errors in Statistics (and How to Avoid Them), Third Edition, all published by Wiley. 3. Applying the Permutation Test. 4. Gathering and Preparing Data for Analysis.